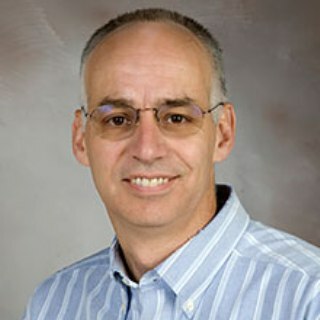 John D’Amore, Clinfometrics, Boston, MA USA. The use of clinical information beyond the patient encounter is decisively lacking. To create an environment where organisaions achieve continuous health maintenance, new tools that leverage data exchange and analytics are needed. This article presents three examples using a standardised, extensible format to improve the outcomes of health systems. The adoption of Electronic Health Records (EHRs) ushers in several improvements for practising clinicians. Charts are readily accessible, illegible documentation is reduced and clinical decision support improves patient safety. While these all improve individual care, digital data are rarely used to their potential for population health. Two factors cause this. First, most countries worldwide have multiple commercial EHRs that compete for utilisation by health providers. This isolates medical information in separate databases, making it difficult to track the same patient across care settings. Second, EHRs have historically prioritised episodic disease treatment over continuous health maintenance. 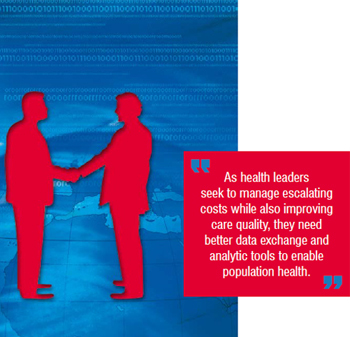 As health leaders seek to manage escalating costs while also improving care quality, they need better data exchange and analytic tools to enable population health. A key technology to advance data sharing between different EHRs is EXtensible Markup Language (XML). While XML was approved as a web standard fifteen years ago and is broadly used on the internet, its adoption in health information technology was limited until recently. This changed in response to several national initiatives, most notably Meaningful Use in the USA which requires healthcare providers to share patient data maintained in EHRs outside of their organisational boundaries. To accomplish this, EHR developers adopted a standard data interchange format and XML document generation capability into their technology. A major advantage of XML over past standards is that data natively encoded with associated vocabularies can be shared (Figure 1). This allows recipients of XML-formatted documents to aggregate data from many sources without having to pre-arrange and build a specified format for each new partner involved in a transmission. Applications of XML clinical data transmission in the Asia-Pacific region include the reporting of infectious disease in China, pre-admission data entry in Australia and as a potential backbone for a nationwide EHR in Japan. Tools for population health, however, also need the right content to be effective. 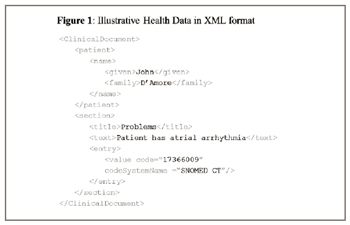 A leading candidate for XML-formatted clinical data is the Continuity of Care Document (CCD). The CCD was established as a harmonized standard in 2006 and includes normalised data on patient problems, allergies, medications, laboratory results and procedures. While these elements do not encompass all EHR data, they represent a workable subset that can be used for public health, medical research and quality measurement. Departing an acute care hospital is a precarious time for patients. Medications need to be reconciled; Nurses must educate patients about their illness; Multiple clinicians need to coordinate appropriate services and timing for ambulatory follow-up; Patients must comply with a range of post-discharge therapies; Failure in any step increases the likelihood that suboptimal care will cause a relapse of previous illness leading to a costly readmission to an acute care hospital. Not every discharge, however, shares the same risks. Patients with multiple medications, co-morbidities and severe disease stand a larger chance of being readmitted to a hospital. While clinicians know this, nurses and physicians are not particularly good at identifying patients at elevated risk of readmission. The reason is that readmission prediction requires a highly multivariate model where dozens of factors contribute to overall risk. Using a sample of 8,000,000 discharges, one readmission model found over 50 significant variables that contribute to readmission risk. Humans are not efficient data gatherers or calculators for such complex data manipulations, but computers are. Using clinical data extracted from an electronic health record, software can instantly calculate an individualised risk profile for each patient at discharge. This can identify high-risk patients for whom specific interventions can reduce the readmission likelihood by 20-30 per cent. Moreover, data sharing and analytics post-hospitalisation can identify when care steps, like medication fulfillment and physician follow-up, have been missed. The goal is to create an environment where care is individualised to patient need and actively surveyed to ensure compliance. Together, these practices can reduce the number of costly re-hospitalizations and save billions in annual medical expenditure. Having complete and accurate documentation of a patient’s medical condition in the EHR is vital. Clinicians need to quickly internalise a patient’s problems when considering therapeutic options. Clinical decision support requires disease-specific care to be verified with guidelines to ensure patient safety. Quality measurement and risk adjustment algorithms rely on patient problems to provide meaningful measurement. Moreover, for nations with insurer-based reimbursement, a complete diagnosis list is the cornerstone to accurate provider reimbursement. Research has demonstrated, however, that problems lists are often inaccurate, incomplete and inadequately maintained. Clinicians often prioritise time for clinical care over documentation and it is easy to omit one aspect of a patient’s condition when they have many complicating problems. One way to improve problem documentation is for analytic software to continuously screen medical data from the EHR to find potentially missing diagnoses. Such software can look for evidence-based definitions of disease and flag individual records for follow-up. For example, if a patient has a high-level of B-type natriuretic peptide, a strong marker of heart failure, and is receiving furosemide, a common heart failure prescription, the patient is highly likely to have heart failure. If that diagnosis is not present on the patient’s problem list, software can alert the clinician. This process is often called problem inference or clinical inductive reasoning and can be applied to a large set of diseases. One recent clinical trial found that problem counts increased by over 100 per cent when such alerts were added to an existing EHR. While problem inference has significant potential to improve care today, its importance will grow as digital records are increasingly shared. Reconciling and maintaining problem lists will be a priority with health information exchange so that patients are continually matched with the right resources for their medical condition. Better documentation thereby results in improved care, robust communication, and in some circumstances, increased reimbursement. A pervasive concern in medicine is that provider payment and care quality are often unrelated. In a world where the data needed for quality measurement are recorded on paper in unstructured text, quality measurement is tedious and expensive. This was a major reason why providers have historically not been paid for the quality of care they provide. With interoperable EHRs, however, this can change. Many quality measures are calculated by comparing all patients with a condition to a fraction who have achieved a desired outcome. With diabetes, for example, it is desirable to have patients regularly manage their glucose levels, which can be measured through a lab result called HbA1c. If a diabetic’s HbA1c is under a certain threshold over time, this is indicative of consistent glucose management and correlates with fewer adverse outcomes. For the healthcare system, it would be advantageous to reward physicians who have more patients with good glucose control. Of course, such metrics only apply to physicians managing a large group of diabetics and should include factors to adjust for patient compliance, but the value of such measures is clear. While many EHRs natively calculate quality metrics like HbA1c management, they may be missing critical data. What if a patient’s lab result was not incorporated into the source EHR? What if the patient’s glucose control deteriorates when they go to see a specialist using a different EHR? To overcome such challenges, it is valuable to measure quality by aggregating data across care practices. Research has demonstrated that comprehensive quality measures can be calculated from clinical data extracted through XML from EHRs. In addition, health information exchanges have shown that reporting through a large network can increase the care quality for patients in a region. Building outcomes-oriented health systems requires health information exchanges with robust quality surveillance, and new standards in EHR data and interoperability will make this possible. These examples demonstrate how analytics can improve care quality and advance disease management, but EHR vendors are unlikely sources for development of such functionality. To re-visit the smartphone analogy, the power of mobile computing spans thousands of useful applications, of which few were developed by smartphone manufacturers. Instead, motivated companies empowered through an interoperable environment applied their creative talents. XML-generated clinical extracts and interoperability could provide a similar ecosystem where innovation leads to increased efficiency and effectiveness for health providers. 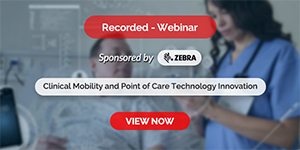 The need for such tools is evident today and their reach will grow as new modalities, like telemedicine and remote monitoring, are incorporated into EHRs. The other element that can accelerate the growth of such tools is health information exchange. As the examples illustrate, comprehensive data contributes to better metrics and better analytics. While health information exchanges expand the infrastructure for data sharing today, they can also leverage third-party tools to become value-added resellers. HIE case studies have already documented how analytic solutions play a supportive role in becoming financial sustainable. Technology alone will not transform healthcare. It requires the right direction from governments, hard work by clinicians and innovation from an array of emerging health technology companies. Once these forces are aligned, population health tools that use XML-based clinical data will be a natural path to an outcomes-oriented health system. Health leaders will need them to manage the large tasks which lie ahead. Creating the next generation of outcomes-oriented health system will rely on the use of data and analytics to improve care delivery. Using emerging interoperability standards provides a logical means to build an ecosystem of health information tools. These tools will accelerate the transition to continuous health management that will save monies and lives worldwide. Dean Sittig studies the design, development, implementation, and evaluation of all aspects of clinical information systems. Dr. Sittig is working to improve our understanding of both the factors that lead to success, as well as, the unintended consequences associated with computer-based clinical decision support and provider order entry systems. John D’Amore focuses on improving healthcare operations through clinical and financial analytics. He currently serves as President of Clinfometrics, a company developing population health tools and predictive analytics as highlighted in this article. 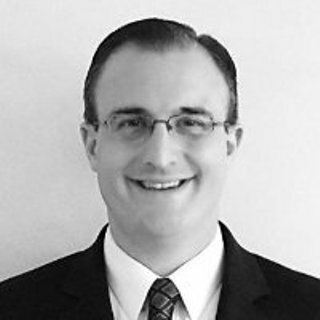 His research focuses on medical data interoperability, and he holds degrees from Harvard College and the University of Texas.